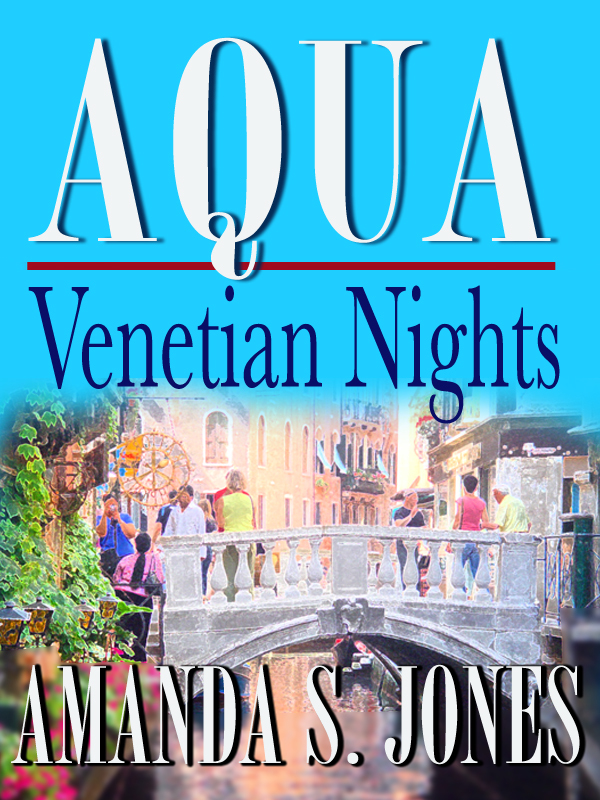 Join us in time for Valentine’s Day as we chat with romance author Amanda S. Jones, the creative individual behind the “Aqua” series, about travelling, cooking, writing, and more! 1. Why the “Aqua” series? I love the idea of a series where we get to know characters intimately over a number of books. I thought it would be fascinating to follow characters as they explore their own lives and the Mediterranean via travel. The “Aqua” series is the ongoing story of the cruise ship Aqua, where crew members such as Chef Amber and Captain Hallmann appear frequently, and other favourite passengers make cameo appearances. With each book in the series, the familiar characters and their stories grow and weave together more and more. Each story in the series stands on its own, but the more you read along the entire series, the more you get to know and understand the cruise ship, its passengers, and regular crew members. 2. Do you think a cruise is the ideal setting for romance? Yes! Combine water, warm breezes, and exotic destinations – what isn’t romantic about that! And, you are in a defined space with the same people for days. When I write, the destination and the cruise ship itself are like characters in my mind. The first book in the series was inspired by a romantic trip to Venice but I love the entire Mediterranean so returned to that destination in my second book. And there are so many romantic destinations coming up that the cruise ship will be travelling to. 3. Your romance novels are set all over the world. Do you enjoy travelling? I love travelling and have been to the places I write about. I want to take readers there with me so they can feel the magic of these destinations. The combinations are endless so this series will continue for a long time! 4. Why do you think the romance genre is so popular? It’s fantasy. It’s hope. It’s dreaming. Reading offers us all of those things. Love is such a fundamental need in everyone, and reading lets us experience so many different lives. Reading romance gives someone hope that the right person, the right experience, is out there. 5. Where do you find the inspiration for your romance novels? Partly from my travels and then people I’ve met along the way. I find scenarios and characters keep entering my head and asking for attention – they won’t leave me! And then there were all the captivating places I’d travelled to, filled with romance and adventure. And the food! They are stories that need to be told, places that need to be shared, food that needs to be tasted. When these loose strands and all the things I loved (travel and food) started coming together into a solid story, I knew it had to be a series because there was too much to fit into one book. 6. You write a lot about food in your novels. Do you cook? Yes I love to cook and I love food! I wanted to create a series that covered my love of food as well as travel. I’m fascinated by the power food holds over all of our senses. I want readers to be hungry for love and for food, and to realize how the two go so well together, after reading the book. What’s my favourite food? Wine and dark chocolate – if those are considered food. 7. What would be your advice to aspiring writers? Believe in the story you want to write and listen to your inner voice. Don’t be influenced by what’s hot on the market – your story will be discovered by the right people when the time is right. All it takes is one person and the momentum grows. When the writing gets tough, stick with it, because there’s a gem waiting for you around the corner. If writing were easy, then it wouldn’t be as rewarding. All books in the “Aqua” series are currently available for purchase on Amazon. What do you enjoy most about the romance genre?